SiQueries is a SaaS (Software-as-a-Service) data analysis and visualization firm founded in 2013 in Cameroon. SiQueries provides a platform for small and medium businesses for the business intelligence solutions. 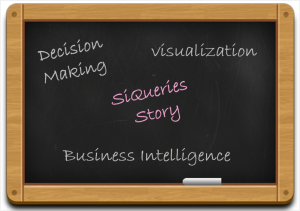 The products of SiQueries collect data and produce helpful information for critical business decisions. The function of this BI tool is to identify, develop and create new business opportunities, and the benefits are not limited yet. Users can use data analytics API and build analytics that directly integrate into the app. The usability of the tool has inclined slope curve and it is taken from SMEs by both the hands, but the road to success was not that smooth at all for the founders. The founder of SiQueries, Ebot Tabi who is basically from Africa, has seen plenty of hurdles and odds that came in his education and plan. When he planned to get a degree in computer science, he got disappointed by the poor curriculum of African University. There were no practical sessions for coding, the programming exercises had to be written on the paper. Students were told to memorize and reproduce the code on the paper and submit. Study materials were outdated, so he switched online to learn programming. Ebot founded a geo-location startup and faced the challenges driven by data. 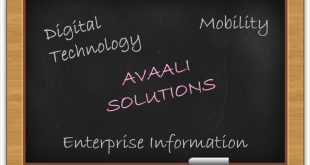 He found that small and medium business could not afford business intelligence which is crucial and hard to manage. Then, Ebot started up SiQueries, to make SMEs less competitive in the market where decision making is driven by data. SiQueries has two products- Quick sense and Datio science. Quick sense is a cloud based BI tool that helps SMEs to connect, analyze and collaborate on data. It is a powerful drag and drop browser based UI that has highly interactive dashboard as well. Datio science is an analytic platform for data scientist to build and deploy predictive models, it also has inbuilt tools for modeling, data transformations and data deployments. SiQueries data platform connects to the most popular data sources. It is integrated with, Amazon RDS, Amazon Redshift, My SQL, SQL server, Google Cloud SQL, Azure SQL Database and PostgreSQL. The integrations with Herocu Postgres, HP Vertica and Oracle, are coming soon. Ebot Tobi has several plans for the SiQueries expansion as he said in a conversation with Apache Cassandra, a distributed database for managing large amounts of structured data. 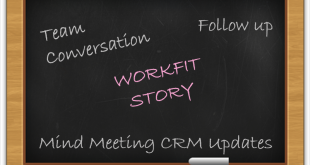 He said that the beta version of custom cloud and on-site deployments started around MongoDB. It was easy to set up and managing various features was quick, but then they got hit by massive data growth and the performance dropped badly. So, they switched to Apache Cassandra that helped to serve analysis in real time. “Also for end-users with data sources from sensors, server logs etc. We provide a highly available API letting them push data into our data stores and run analysis over to extract valuable knowledge. We believe small and medium companies can become more competitive when they understand their business, market trends and make smart decision from faster analysis performed on these data. At SiQueries we try to make this process extremely simple and easy to get started.” The SiQueries founder then added.